BertO is proud to present his first proposal for the dining room: Judy and Ring. We have recently presented our Collection 2016 and there is some news we would like you to be part of: new technologies as for padding, a new design and a complete furniture proposal for your rooms. 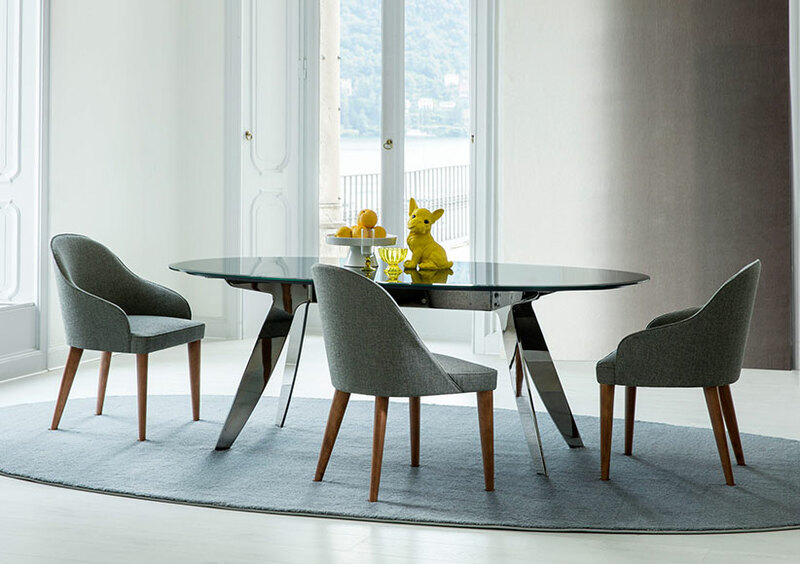 With the chair Judy and the tables Ring BertO is proposing the best offer to furnish your dining room with products entirely created and produced by Berto Fine Upholstery Tailoring. Design and feature of these products are selected with the same attention as for materials we use for the production of our sofas: tailoring details in a perfect balance between aesthetic and comfort. 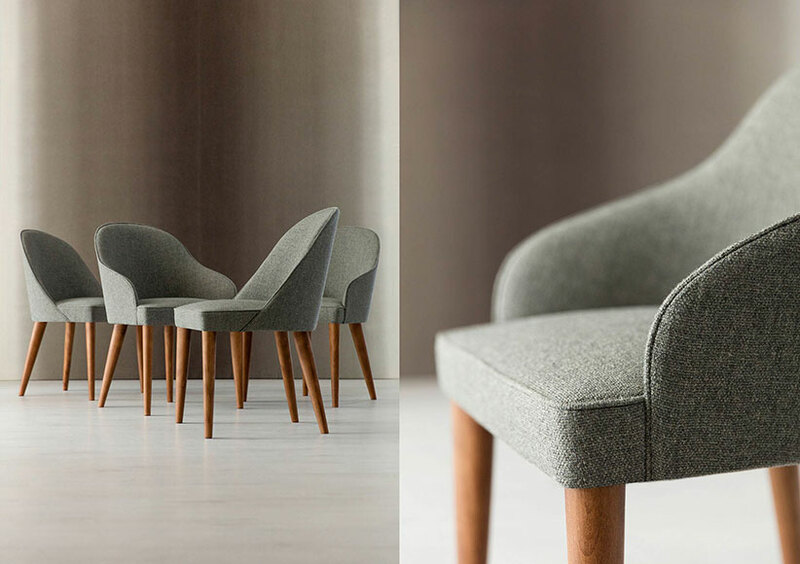 As well as all items in our BertO Fine Upholstery Tailoring catalogue, these two new products are totally custom made available as for covers, details, finishing and sizes. The chair Judy with wooden legs has an original structure which links seat and backrest by an iron insert covered with polyurethane foam. The legs of the chair are made of solid beach wood, available with wengè or walnut finishing. With or without armrests the chair is available with fabric or leather cover as well as with a combination of leather and fabric cover together and a contrast or tone-on-tone color trim. 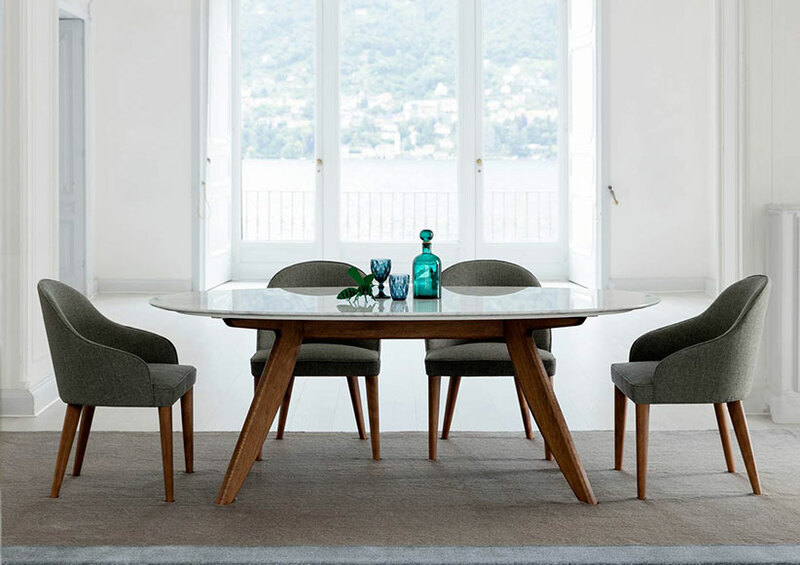 The oval table Ring with marble top, or with lacquered or transparent glass, perfectly goes with our chairs Judy and the top of the table made of Carrara marble provides elegance and lightness to the room. The table Ring is available even with round glass top and black polished chromed legs (Original Design by BertO Design Studio): you can see the structure and the base of the table which offer an elegant and modern harmony as a whole. You can find our new proposals for your dining room in our BertO showrooms in Meda and Rome or even online.